Kummikompressor manomeetriga. 12V, 10Amp, 85W, Voolik 48cm, Kaabel 3m, 18-20L/min. Pumpab kummi täis keskmiselt 5 minutiga. 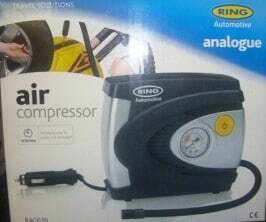 12v Air Compressor with 3 piece adapter kit for also inflating sport balls and small inflatables. Fitted with fused 12v power Pistik and approx. 3m cable that stretches the full length of a standard car, allowing esimene tyres to be easily reached and checked. 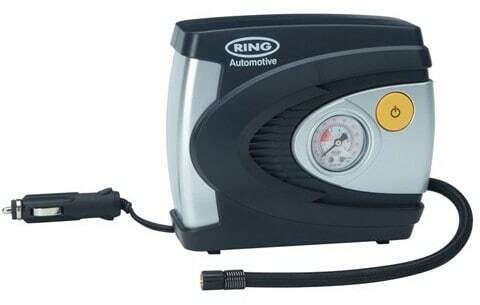 Please Note: The product video below shows how to use a Ring Air Compressor to inflate a car tyre. The Air Compressor used in the video is a RAC635.